Is episodic gaming on the ropes already? That seems to be what some people are saying. It’s kind of hard to believe this when the idea still hasn’t gotten off the ground, but these claims have some merit. Sin Episodes is in limbo, and everyone has come to agree that Valve is really making Half Life 2 expansion packs, regardless of what they want to call them. That leaves Telltale Games as the only major developer that has followed through with their promise of timely episodic content. First they did it with Bone, and now Sam and Max looks to be moving along right on schedule. The second episode, Situation: Comedy, was released just before Christmas, and I’ve finally gotten around to finishing it. At first glance there doesn’t seem to be enough to say about Ep. 2 to warrant a full review, but in fact I think that it can show us what to really expect from episodic design. First, episodic content means that some content is going to be recycled. Situation: Comedy naturally begins where Episode 1 does; in the office, and, as a consequence, the street on which it resides. While you’ll have some new things to catch up on with old neighbors Cybil and Bosco, the scenery is exactly the same, save for some signs and newspapers, and almost all the interactive props yield the same lines of dialogue as before. Some people won’t ever see this as anything but laziness, but I think in this case it should be both pardoned and expected. Telltale is truly treating Sam and Max as episodes in a season. Just like on television, the props aren’t meant to change much, and it makes perfect sense to see our heroes in familiar places. It’s not at all laziness, but rather following the structure of an episode. What they’re saying is probably funnier than anything I can write. I suppose they could write new jokes, but what’s the point? Why would they have something new to say about each and every thing? How long would the jokes stay fresh? Furthermore, I believe this approach has the indirect result of punishing players who treat it as an old style adventure game, where they insist on checking everything three times just in case they missed a clue. Yes, there is a puzzle (or two) that involves your interacting with an object that was unimportant in Ep. 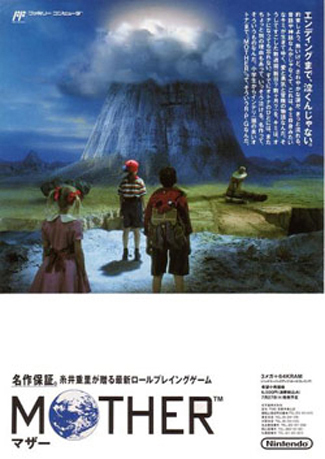 1, but it ends up making perfect sense in the context of the game, rather than being something that is completely random or obscure. Telltale doesn’t want you to succeed by brute force, but by knowing your surroundings and using what you have. If you try to be meticulous, be prepared to hear the same stuff over and over again. In any case, repeated dialogue and recycled sets don’t matter that much since the majority of the game takes place in a new location and with new characters. This time Sam and Max have to stop a mad talk show host, and in doing so end up starring in several shows of their own. It very much takes on the same structure as Episode 1; that time, you had to save the three soda poppers, and then make your way into a showdown with the main villain. In Episode 2, you have to perform on four different shows in order to make your way to a showdown with the main villain. Do not think, however, that because the layout is the same that the puzzles are. Situation: Comedy has some very clever puzzles, including a section where you need to land all the right jokes in order to film a sitcom. The final section itself restrains you to the Laws of TV Physics (you’ll see). It’s all good stuff, though those who have played Episode 1 might be wondering if Telltale increased the difficulty at all. I would say yes and no. Ep. 1 had a few brain twisters that left me stranded for a while. Meanwhile, nothing in Ep. 2 was a major roadblock, but most of the puzzles felt much more clever. It might be a bit harder, but it is also more logical, thus it is still not too difficult to figure it all out with a few fierce bouts of brainstorming. Once again, the writing is top notch. I think I enjoy the jokes in Situation: Comedy more than the jokes from Ep. 1 because they do a wonderful job of shredding apart the stupidity of most television shows. The sitcom scene is easily the best, while Telltale’s take on American Idol is delightfully dark. Some longtime fans may be disappointed by the lack of ridiculous similes and descriptions from Sam, but at the same time the characters feel a lot more twisted, which seems very much in line with the old comics. I expect this high level of writing quality to continue throughout the rest of the episodes, since Telltale seems willing to use a variety of different settings, thus leading to fresh jokes and more sources to make them from. Arguably the biggest complaint against episodic gaming is cost and content. Understandably, many gamers fear that it will lead to their paying more money for less content. The truth about Situation: Comedy is that it’s certainly no longer than Culture Shock, and may even be shorter if you’re on the ball. I was able to beat it in a single sitting, about three hours, give or take. Now this might signal a red alert to some readers, but I don’t think it’s as bad as it initially looks. 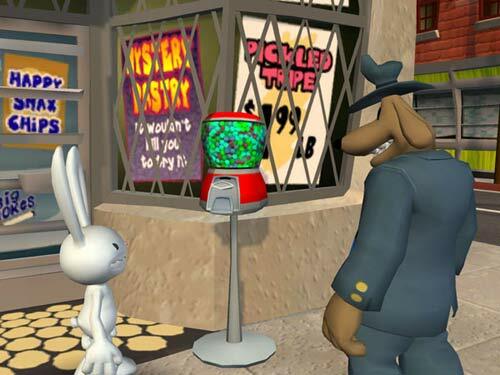 For those playing Sam and Max on Gametap like me, a three hour episode every other month is like a nice little treat in addition to the rest of the service. If you buy it as a single episode for $8.95, the deal is a little worse, but still reasonable compared to a movie ticket. If you buy the whole season at once, you’ve got six episodes of around 3-4 hours each, rounding out to 18-20 hours of gameplay for $35 bucks. That’s pretty damn good in this new generation where a 10 hour action game might set you back 60 bones. If developers opt for charging $15 for small chunks of gameplay, I could see things getting out of hand. But once again, Telltale seems to have a good grasp of what’s fair and reasonable for this new approach to games. Hopefully future games offer as many options and prices as we’re seeing here. 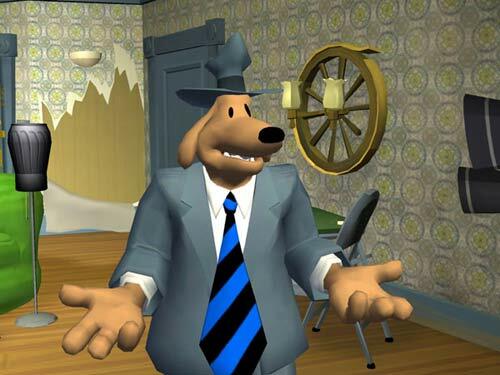 I fear that it will sound like I’m slobbering over this series after just two episodes, but Sam and Max once again impresses me with its ability to entertain with good humor and fun puzzles, and it looks like the people behind it have hit the sweet spot between timely releases, quality content, and value. Not everyone is going to see it that way, but I think that if episodic gaming is going to thrive at all, this is the model that needs to be followed. If it doesn’t thrive, then I wouldn’t complain if Sam and Max were the only game in town. The game seemed short, but I really enjoyed it. The story felt tighter than the first one and I got the impression that I had done more, even though I had done it in less time. If they can manage a coherent story arc, then I could quite easily see this type of episodic content bringing back adventure gaming. My one complaint so far is that the showdowns with the two villains have been, to date, a little anticlimactic.